The Center for a Free Cuba has raised the issue of Raul Castro’s deployment to Venezuela of thousands of soldiers and security agents with members of Congress, media, NGOs, and in a brief exchange with Vice President Pence. Yesterday the Center met with a British official at the British Embassy and delivered an appeal to Prince Charles who is traveling to Havana with his wife this weekend. More about this below. 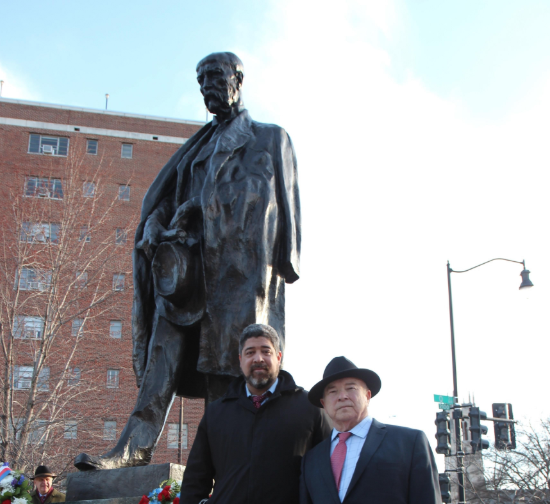 When recently the Czech Prime Minister, Andrej Babis, met with President Trump, the Center presented a wreath at the Prime Minister’s ceremony at the statue of Czech patriot, Tomas Masaryk on Massachusetts Avenue. John Suarez of Freedom House and former Czech Ambassador to the United Nations and the United States, Martin Polous, joined Frank Calzon, CFC's executive director, who spoke with the Prime Minister and delivered a request to the Czech government to help mobilize European governments to obtain the removal of the Cuban army of occupation from Venezuela. Please read the letter, which is included as an attachment to this email. 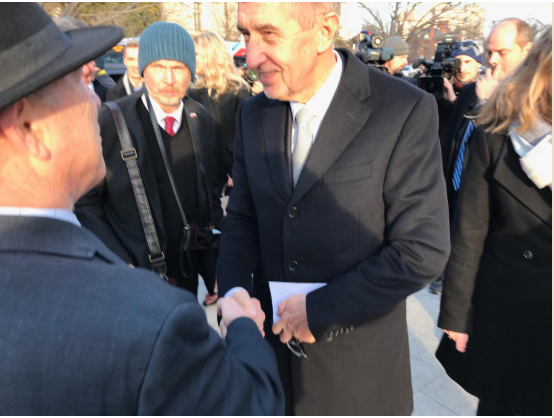 Center for a Free Cuba's Frank Calzon with Czech Prime Minister Babis after giving him CFC's petition. CFC's executive director with former Czech Ambassador to the United Nations, Martin Polous. 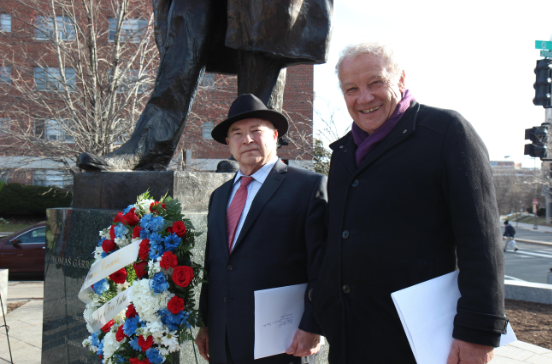 Also at the Masaryk memorial, Freedom House's John Suarez. NEXT: Presenting request to Her Majesty's Embassy in Washington. Yesterday, the Center hand-delivered a letter to a British Embassy official, requesting Ambassador Darroch to convey to Prince Charles the Center’s request to urge the Cuban regime to return home the Cuban soldiers stationed in Venezuela. The petition also asked His Royal Highness to meet with the families of political prisoners, independent journalists, and human rights activists during his visit. "In the letter to Ambassador Darroch the Center says " Cuba is not a geographical expression, not a regime that has misruled the island for over half a century,[but] eleven million souls who would like to have the same rights of speech, assembly, due process and self-determination enjoyed by the British people." The letter asks Prince Charles to meet with families of Cuban political prisoners, independent journalists and pro-democracy activists. "To visit Cuba without seeing them," the letter says, "would be a disservice to the United Kingdom and the people of Cuba; meeting with them would provide an opportunity to inform the Prince about the atrocities currently being committed by Raul Castro’s political police." Copy of the letter to Ambassador Darroch is included below.